For a nostalgic wedding, you must go in for vintage inspired wedding table decorations as vintage never goes out of fashion and every bride, we are sure, loves the elegant style of the 1920’s- the era that inspired many big filmmakers to make epics like Great Gatsby, and the golden age of ‘Rock n Roll’- the 50’s and 60’s. Vintage table decorations look classy and never garish or over the top. Vintage wedding decor is largely dominated by accessories such as candles, candelabras, vintage tins and jars, floral arrangements in pastel accents, pearls and jewel studded napkin holders, birdcages, vintage cakes and props. The look is more towards retro. Today, we are showcasing 35 awesome vintage wedding decoration ideas that will add sparkles to your wedding. Look and get enamored! Vases in pastel colors, or in ceramic add to a vintage look and are popular with brides that want retro chic look for their wedding table. A vase can be placed alone or can be filled with fresh flowers. Vintage wedding centerpieces that are shown below are stylish and create a retro look. You can go in for silver vase decorations or white ceramic ones that can bring freshness to your tables. The wedding tables can be adorned using ornamental vases with carved holders as well if you do not mind spending lavishly on your wedding. 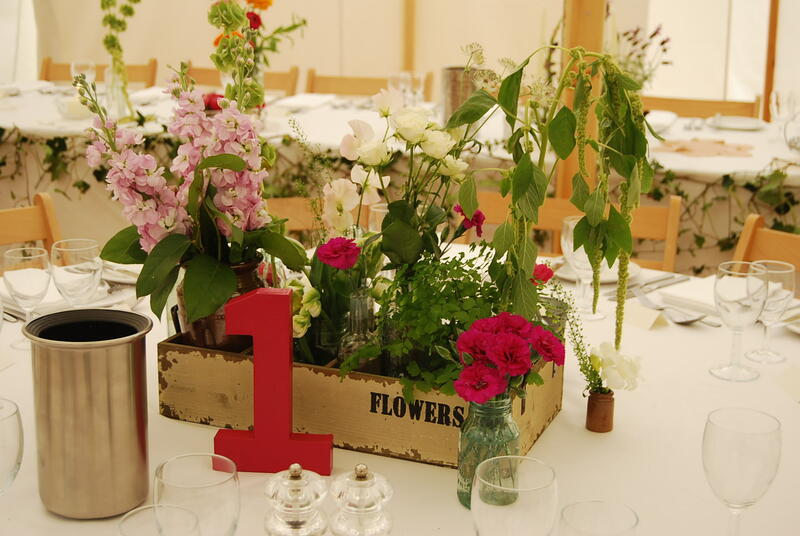 Wedding table decorations for a vintage themed wedding must feature flowers if you want to create a signature style. Floral arrangements lend an authentic touch and help to recreate the style of the 20’s and 40’s and 50’s. So, if you are someone that likes the feel of the bygone golden days, go in for such wedding table decorations that have flower decor that includes bunches of heirloom roses and carnation arrangements. 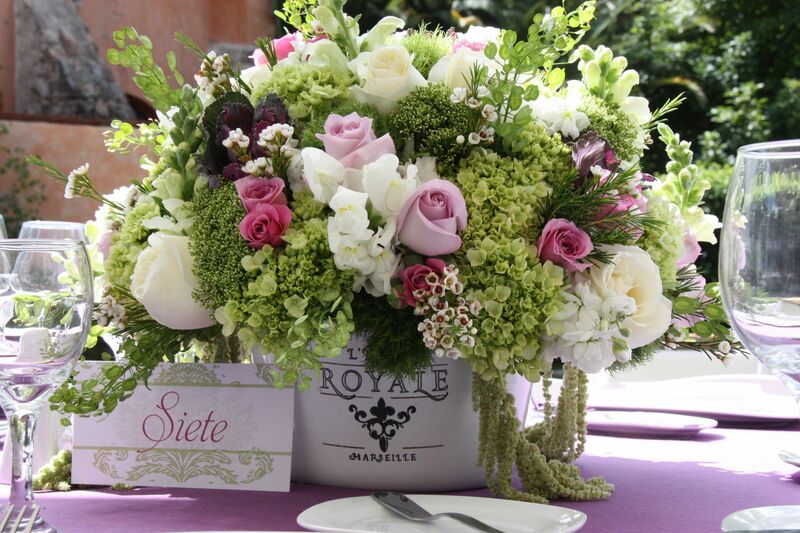 The use of tropical flowers and bright daisies are a strict no no when stylizing your tables the old fashioned way. However, its not only roses and peonies that bring in the feel of vintage, you can also try arranging sunflowers and dahlias in tins and jars for a retro look. 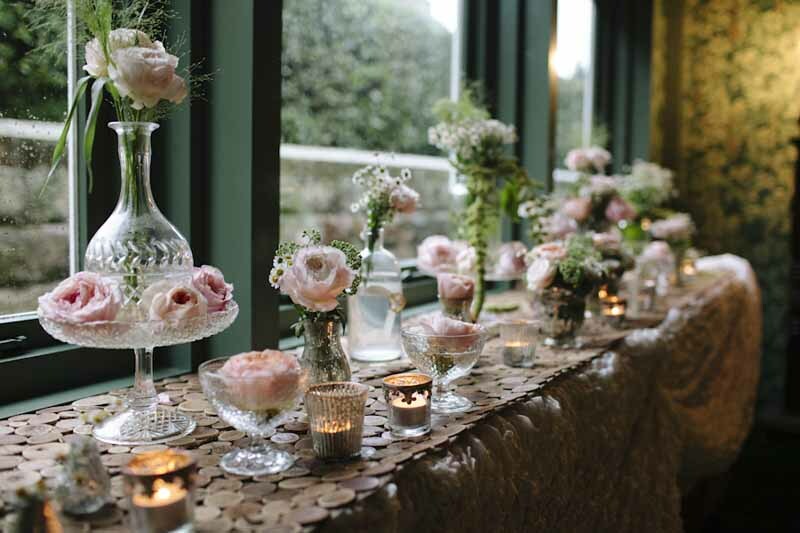 Vignettes are a very popular choice when decorating weddings tables the vintage way. A vignette is a collection of numerous personalized accessories, arranged together on a table to convey some meaning. It can be a simple vintage vignette including a ceramic pot, some fresh flowers and a few strings of pearls scattered around over a tray or flat dish. Shown below are vintage table decorations that have vignettes as special decorations on wedding tables. For a vintage inspired wedding table, the vignette has to be centered around such accessories that were in use during olden times like the 20’s, 40’s and the quirky 60’s. If you have some personal belongings of your granny and want to remember her on your special day, make a vignette of her items like jewelry, tea cups and pictures of her. Then arrange these together to create a loving ambiance that will be cherished by one and all. Vignettes can be crafted out of old novels, books and Easter egg nests as shown in a few of the images of vintage wedding decoration ideas below. Just one word for expressing when you see pearl decor on wedding tables…wow….gorgeous! Yes, most of you ladies who are getting ready to walk down the aisle soon will fall in love with vintage inspired wedding table decor that uses pearl embellishments to stylize the ambiance. Pearls in creamy white or peach color look elegant and very aristocratic. You can fill glass bowl or jars with hundreds of pearl beads and place a candle in between for an illuminating effect, or can arrange fresh peonies or heirloom roses with pearls strings attached around them. 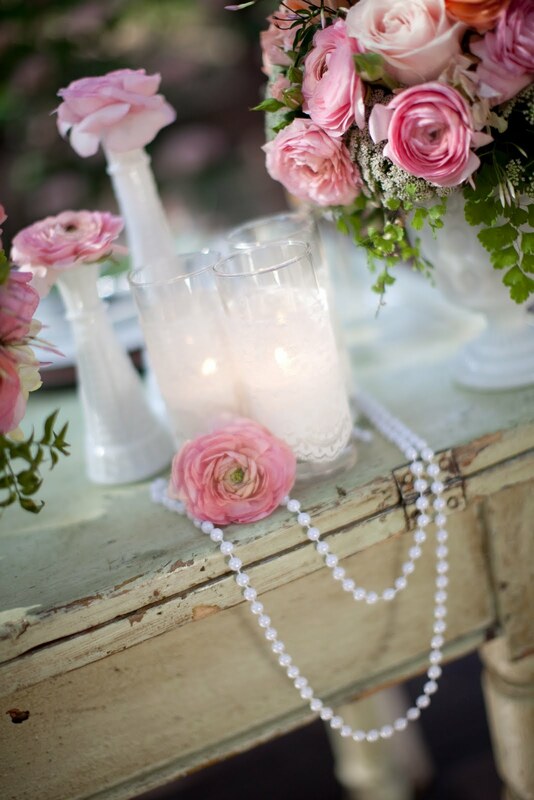 There are numerous vintage table decorations that have pearls as an essential element in vignettes. 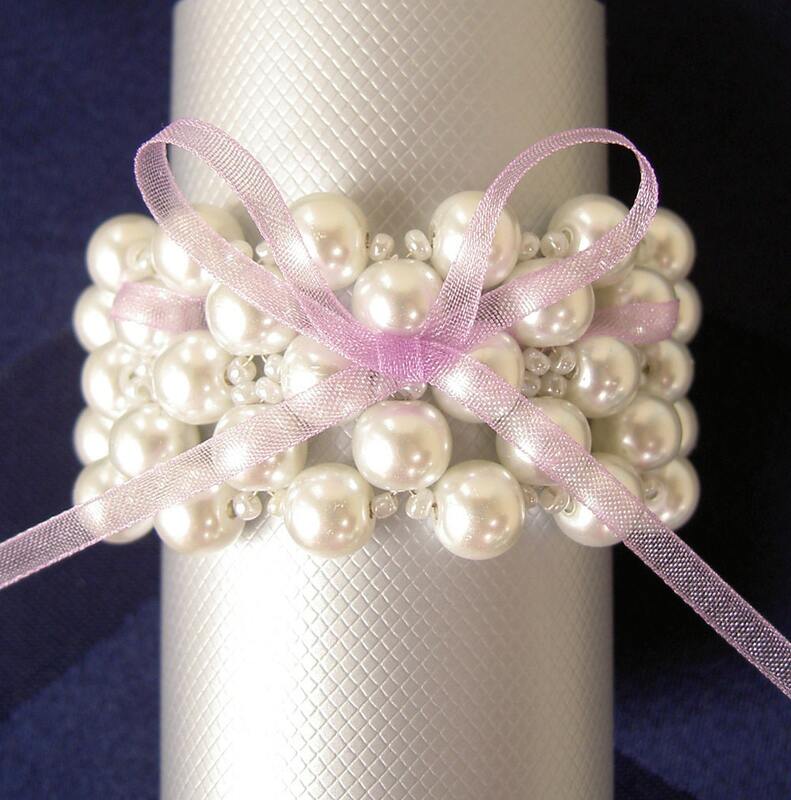 You can also place pearl beads randomly all across wedding tables to create a sophisticated look. Scroll down to get smitten with these lovely pearl vintage wedding decor ideas and choose the one that you think brings the vibes of the olden days better! If you wish to add a signature style to your wedding table decorations, then candelabra centerpieces will help you achieve your aim. 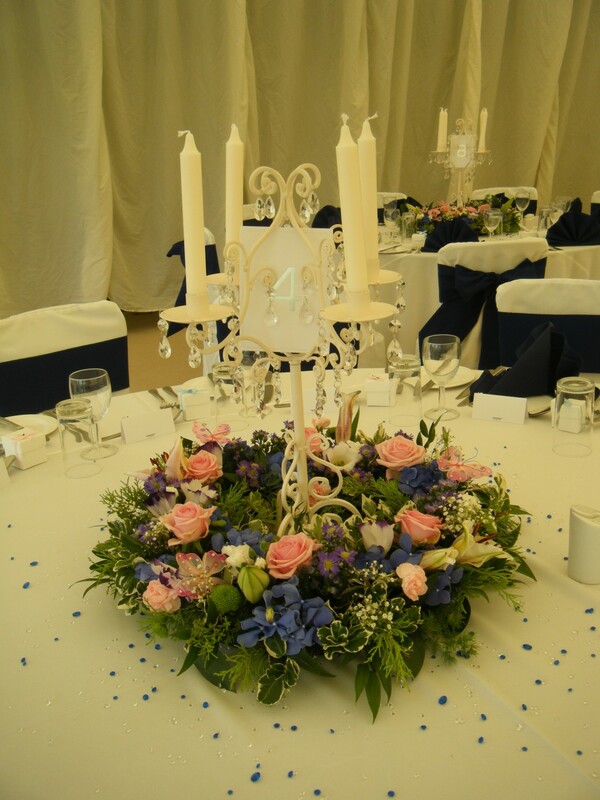 A vintage candelabra looks elegant and comes in a number of designs and makes. 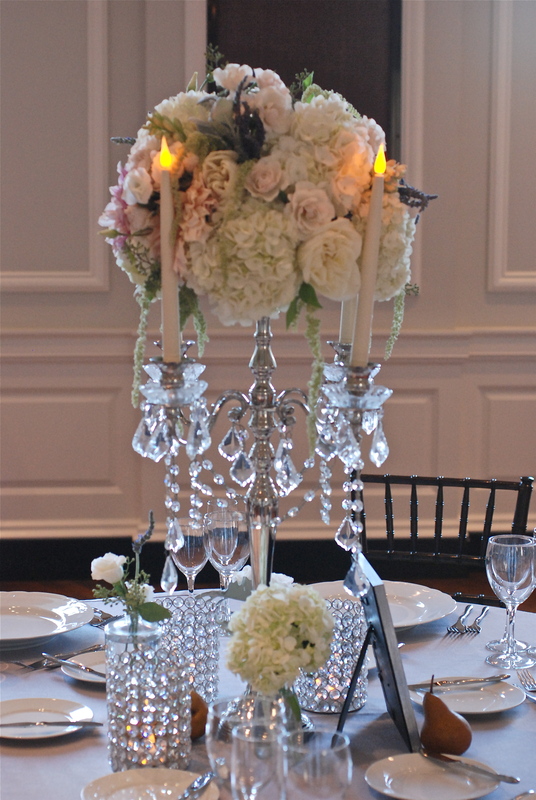 Silver candelabras can be placed together with pastel floral arrangements for getting an authentic look of the 20’s. If you are a lover of crystals, go in for a crystal candelabra or sconce. Though there are numerous types of candelabras available in the market, however, its the antique variety that looks best when your wedding is themed on vintage lines. Either place these as main centerpieces on the tables, or combine them with other accessories like flowers, vases, votive and tins. There isn’t a thing that you cannot put to use when decorating your homes, and the same goes for adorning tables for any occasion. DIY suitcase decor ideas are very much in fashion with many women opting to use them as decorative pieces either on the guest tables as centerpieces, or on invitation card tables. Many country themed rustic weddings have suitcases as main decor. The best part about using suitcases is you don’t have to spend much, and you can craft new ideas too. Since, most people these days have taken an immense liking for DIY, we thought why not show a few glamorous vintage wedding centerpieces with old and used suitcases. 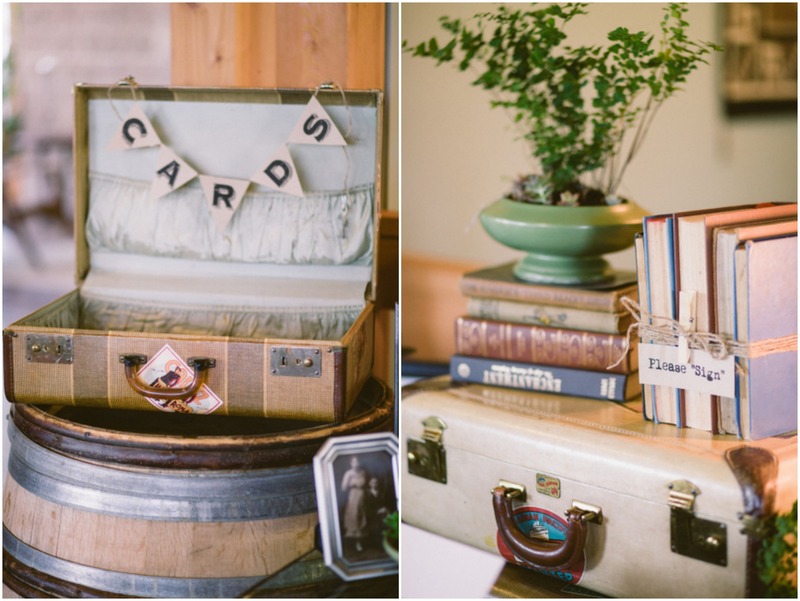 If you look, you would find wedding tables being embellished with vintage looking suitcases that are used as card holders or are simply put as decorative pieces. If you haven’t got any of your granny’s old suitcases, buy a few from thrift stores that sell these at reasonable costs. Our baby boomers, or grandparents always used to have a flair for buying expensive crockery like China tea cups and saucers that were elegantly seen arranged over coffee tables or side tables in living rooms. Now, you too can have this graceful teacup arrangement on your wedding table if your wedding is themed on vintage lines. Bone China cups and plates with golden rims look very aristocratic and help in recreating the charm of the golden days. Just place a hand embroidered table cloth in pastel accents and top it up with white colored cups with floral designs, and you are done! Some people also like to adorn tables with teapots and a whole set of tea crockery along with mittens and teapot cover. For achieving this look, try borrowing a few sets of such crockery from your granny and create a vintage look for your tables. If you are looking for vintage wedding centerpieces that look a class apart from others, you have come to the right place as we have brought very gorgeous table decor ideas today that have made use of old vintage tins. Vintage tins look smart, classy and chic without appearing too garish. For this, you may need to use and recycle old crates, or cans, or cosmetic box that you feel would help you get a vintage look. 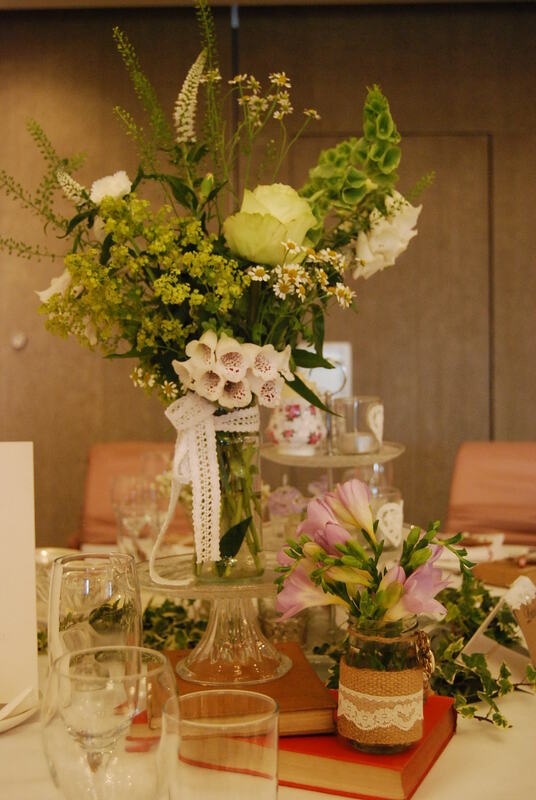 Even old tea containers with logos of their brands can be used as table centerpieces at your wedding. You can also make use of old tuna tins and wrap them over with burlap or lace to lend a vintage, retro look. When decorating wedding tables, you have got the option of using a number of different accessories or props as you want. If vintage is what you want to showcase at your tables, go in for props that make use of bird cages, flowers, DIY heart sticks, votives filled with floating candles and plates with filigree work. For a romantic feel, try adorning tables with silver votives. You can also make a vintage vignette made of dry rose petals or peonies. Wedding table decorations with T lights also add a certain charm to the decor and create a romantic atmosphere. These days most brides and grooms are opting to choose a vintage styled wedding for themselves as this theme is more personalized than others and you can play around with creative ideas for decorations that are offered in plenty by decorators. While, wedding tables decorated on other themes may look gorgeous, but when you adorn your venues on vintage theme, you add a bit of your own touch to every little aspect. If you have the power to think creatively and wish to add a distinct flavor to your decor, go for the cool vintage wedding decoration ideas that are showcased above. With such glam *wedding table decorations*, you can gather all the accolades!